It’s unusual to find well-preserved and historic California mid-century modern homes on the rental market—but something special is happening right now. 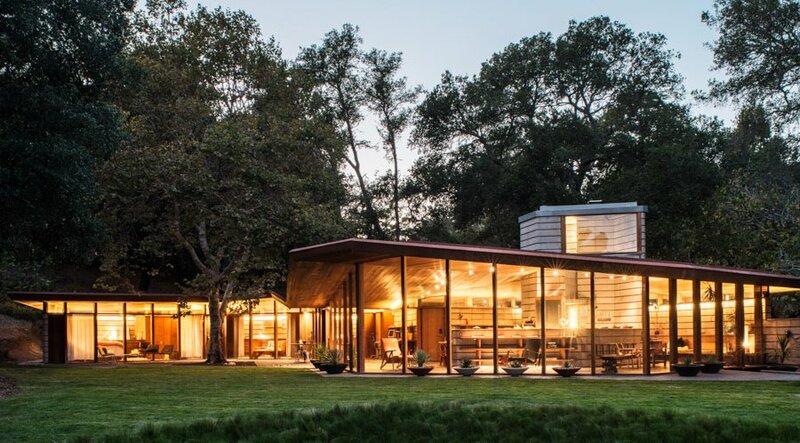 Double your pleasure with two Northern California MCM gems for rent: the Eichler X-100 in the San Mateo Highlands (interior above) and the Telesis House of Napa. Photo: Marie Ivich. Front exterior of the X-100. Photo: JC Miller. Two views of the Telesis House. Photos: Drew Kelly (top), Joe Fletcher (above). You know the feeling. You find mid-century modern living wonderful but you can't afford to buy one, so what do you do? You rent. It's a place Joe Eichler found himself in the early 1940s when he rented Frank Lloyd Wright's stunning Bazett House in Hillsborough. All that did was inspire a modernist housing revolution over the next two decades. You might share that same feeling these days when you check out two other Bay Area MCM gems—the Eichler X-100 in the San Mateo Highlands and the Telesis House of Napa. Both are for rent! 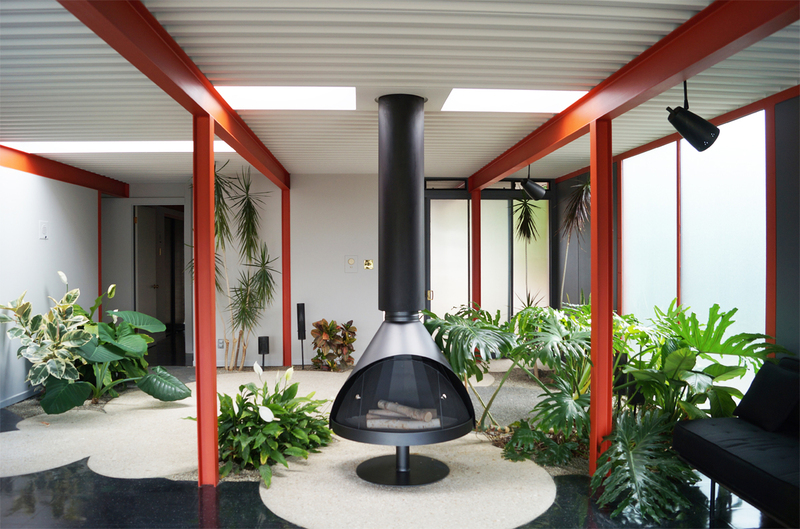 And there's a kicker: Like the Bazett House, both have an Eichler connection. "I walked in and I just had this feeling about it. It was uncanny," recalls Christiane Robbins about finding the then-derelict Munger House in Napa, which she has spent two years renovating along with her partner, architect Katherine Lambert. 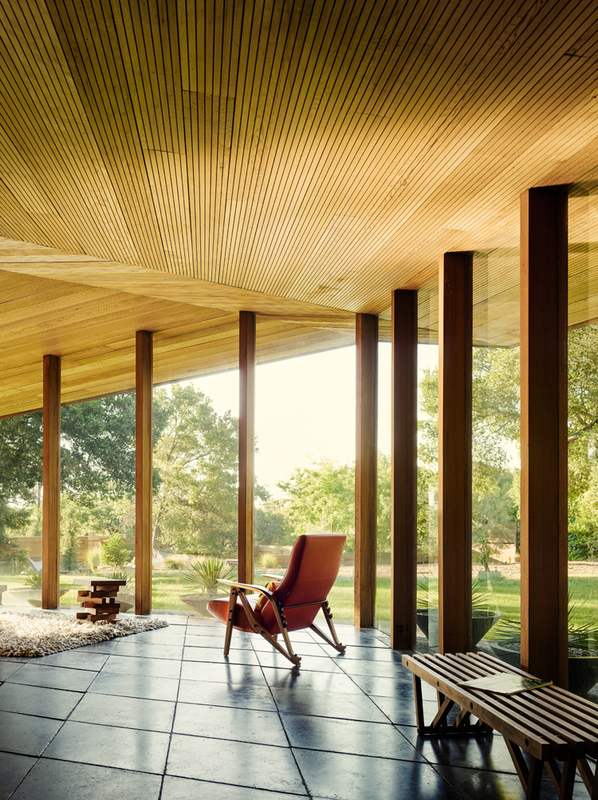 Robbins, who's working on a documentary about architect Gregory Ain, said the house reminded her of a Rudolph Schindler design—perhaps because its architect, Bay modernist Jack Hillmer, had once lived in a Schindler apartment house. Robbins and Lambert renamed the dwelling 'Telesis House v2.0' after a mid-century design group that Hillmer helped found. The house, built circa 1950, is now available to rent for special events at varying daily rates depending on the occasion's size, duration, and day of the week. Also restored and available for the first time in years is the X-100, the cutting edge, steel-framed Eichler designed by architects Jones & Emmons in 1956 as a demonstration house for steel construction and cutting-edge technologies in conjunction with the grand opening of Eichler's new San Mateo Highlands development. It was placed on the National Register of Historic Places in 2016 and is currently for rent at $5,500 a month. Both houses presented certain challenges to their owners in restoring them to mid-century glory. Not the least of these, Robbins said, was original owner Milton Munger's directive to Hillmer for the house "not to have any wasted space" akin to his customary work space as a submarine engineer at Mare Island Naval Shipyard. Remarkably, Munger and his wife lived across the street for a decade as they and their neighbors pitched together to build each other's homes in a communally constructed Napa neighborhood called Hilton Acres. Munger would reportedly cast five of the 24-inch concrete pavers each day on his return from work, and his molds remain. Robbins also received reliable reports that during this same period, Joe Eichler stayed several days in the house at the invitation of Hillmer, who was apparently an acquaintance.